Beyond the age of 50 is the time when you should feel young, fabulous, and free! But one thing that can hinder this is the worry about aging gracefully and looking old, and this can tend to drag you down. One of the best ways to give yourself a refreshing look in life and appearance is to give yourself a new haircut. Something as simple as a new hairdo can make you go from looking like a grandma to just looking GRAND! Some things to note about the most suitable hairstyles beyond the age of 50 is to keep it simple. Shorter, cleaner, and more relaxed styles like the pixie cut, bob, and graded cuts look better on you. Pick the right one for you and ride the high of the golden ages of your life with an amazing new haircut! 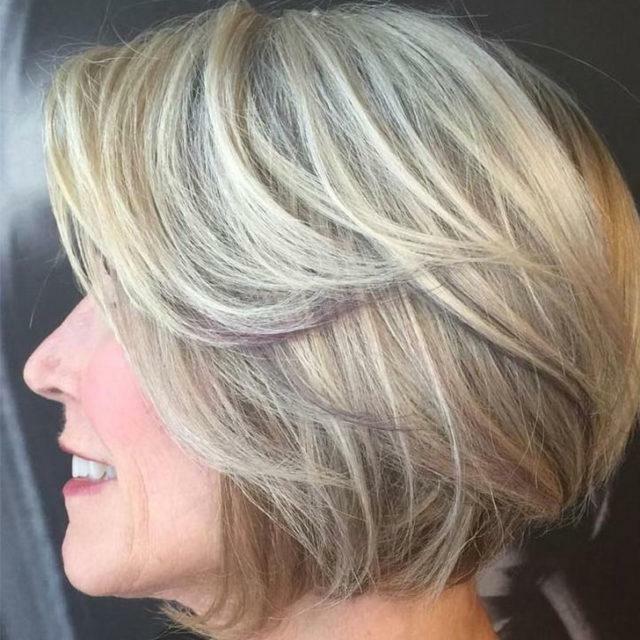 Shorter hairstyles are best suited for women over 50, and one of the classiest styles is the bob. This is a versatile way to style your hair, and its low maintenance as well. The added element of layers brings it up-to-date and makes it modern as well! It works best on you if you have straight hair that is of moderate thickness, but if not, move on to the next one!